Do you remember the block chain? From the end of 2017 to the middle of 2018, the word blockchain hit Korean society. 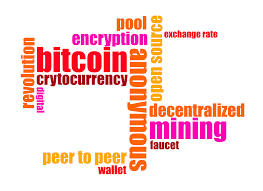 It's more about the investment and speculative nature of cryptographic money than the block chain technology. It's a social issue that many people are interested in, but few people know very much about the block chain. It's like being interested in real estate doesn't mean you're interested in architecture and design. In other words, it's not about core technology, it's about social phenomena that are triggered by it. But the blockchain is not a temporary technology. There is no exact agreement on what the blockchain is. But when we analyze the technical characteristics of most block chains, we have "distributed" technology that handles transactional data, but not just central servers, that is shared by participants in a large network of peer-to-peer. Shared economy and blockchain seem to be irrelevant words. But if you take a step closer and look at it, blockchain technology can dramatically solve the problem of platform operation, the advantages and disadvantages of shared economies. "Uber" and "Airbienby" are two major shared-economy companies that many of you know, but they don't actually own cars and houses. That is, we are achieving a shared economy by making a profit through the intermediary between providers and users. What happens when you apply blockchain technology instead of these platform providers to form a platform together? At the heart of the blockchain technology is that 'the assets or values can be safely transferred directly without a third party trust and the transaction costs can be reduced' as well as 'transparency guaranteed to reduce the asymmetry of information'. These features can be divided into 'unlicensed blockchains' that anyone can participate in the agreement and value building process and 'authorized blockchains' that only pre-authorised users can participate. In the case of licensing, development is focused on companies that are sensitive to processing speed and information protection issues. Today's shared-economic platforms are not strictly authorized and unauthorized blockchains. But if you have a whole set of platform operations and you have a blockchain technology, you can expect to have either licensed or unauthorized, depending on the nature of the shared economy (geographic characteristics, product-specific characteristics, etc.). Let me mention a few things about the effectiveness of the block chain. Readers should not just read it as the effectiveness of the blockchain. Think of the shared economy you know and apply the efficiency and characteristics of the blockchain. So let's move on to the utility of blockchain technology. First, it can be applied in areas where intermediary costs are high, such as international money transfers, logistics and distribution, or where intermediary agencies are less efficient. Second, businesses that were not activated or attempted due to transaction costs may proceed. Third, it can be applied to public sector and national system. I mentioned three features, but I think you could have thought of both the limits and the possibilities of the shared economy. Let me give you one common example of the third case of 'application to public sector and national system'. Why don't you save the information on the use, location and payment of 'Darungi,' a public bike in Seoul, with blockchain technology? Whether you are a citizen or not using the city's central control system, you can use the information to help build stable information on the city. The early block chain attracted a lot of people because it was a non-container, but it was an incentive to get financial value in return for expanding the network of block chains. 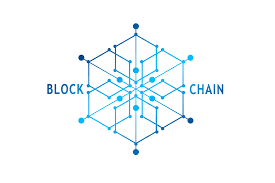 Now, the monetary value of each block chain's coin has been stabilized, allowing us to re-examine the characteristics of the blockchain itself rather than attracting investment or speculation. shared economy and blockchain There are certain factors that can help each other. So many shared-economic companies are trying to interact with blockchain technology. If the move from a centralized platform to a decentralized platform can benefit everyone involved in the block chain and the shared economy, both the shared economy and the blockchain can be expected to enter a new phase. We briefly looked at the relationship between the shared economy and the block chain and the potential for development. Both are new technologies and new drugs, not discussions and technological stability. We're living through a period of study and experience how these two areas can evolve. This was "Shared Economy and Block Chain." <Reference: "Block Chain Technology Status and Future Tasks for Industrial Development," National Assembly Legislation Research Center, Issues and Issues"